Welcome to Week #4 of our Fiber Arts Fiction Friday (FAFF) series! 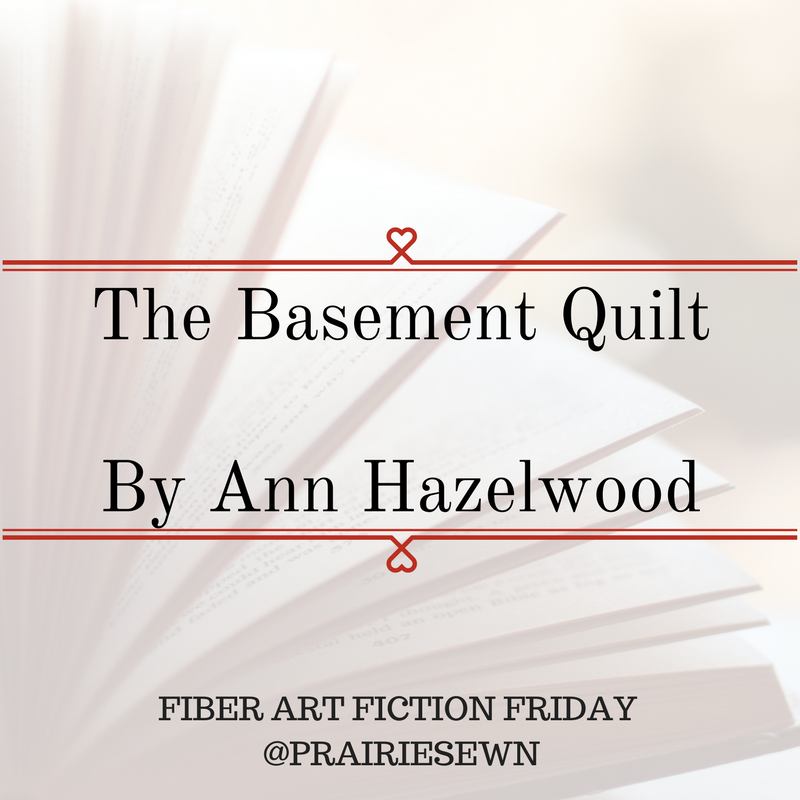 This week we’re reading The Basement Quilt by Ann Hazelwood. In this novel you’ll be introduced to the people, places and goings-on of Colebridge, Missouri, through the eyes of Anne Brown. Anne is the proud owner of the local floral shop and is also very close with her expanded family in Colebridge. Anne and her family decide to set up their own little quilting bee, to finish the quilt of Anne’s aunt. They set up the frame in the basement of the house that Anne and her mother live in, but each time they return to the project something strange has happened. They each accuse the others of playing tricks, but also wonder if it could be a ghostly presence! As they make progress on the quilt (and the mysterious happenings continue), Anne and the others go through a number of life changing events. They learn to rely on themselves and each other to meet their challenges head on, and emerge as resilient citizens of the Colebridge Community. While this book is a nice addition to my collection of quilting fiction, but it’s not my favorite novel. Like many FAFF books, this features a group of women who come together for a single purpose (quilting) and wind up supporting each other in ways far beyond the quilting frame. However, I wish that the characters were more developed and showed a little bit more self-reliance and grit instead of always relying on the help of others. I also had difficulty believing the story itself with the rapid timelines for some of the significant life events in the novel, finding them both unlikely and unwise. While I know that it’s a work of fiction, the setting is contemporary enough that my own life experiences and expectations are projected on the storyline, making it a challenge to suspend belief. Since I can sometimes take a while to warm up to a new series, I’m going to continue reading the novels see what happens next!